After finally reading Jane Austen’s Pride and Prejudice (1813) (see my brief, 5-star review on Goodreads), I was eager to read Austen’s debut novel, Sense and Sensibility (1811). My eagerness was well-rewarded during the first half of Sense and Sensibility, which is excellent overall. Austen can richly draw female characters such as Elinor and Marianne Dashwood, their mother (even the youngest daughter, Margaret), and the nonsensical Fanny Dashwood. However, something curious happens during course of Sense and Sensibility. While Pride and Prejudice starts slow and builds (quickly and increasingly so during the later stages) to its climax, Sense and Sensibility does the opposite. 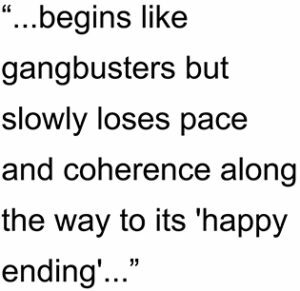 The novel begins like gangbusters but slowly loses pace and coherence along the way to its ‘happy ending’ climax. Even Austen is aware of how preposterous is the twist of fate leading to this happy ending, though she also wisely acknowledges this in the story by trying to turn the ‘out of left field’ event into a narrative advantage. This is not enough to disrupt enjoying Austen’s debut novel. However, it is enough to distinguish the quality of this novel compared to the subsequent classic published only two years later. Nonetheless, Austen’s keen ability to turn a humorous phrase is also on display throughout in Sense and Sensibility. For example, “she did not think he deserved the compliment of rational opposition” has to be one of the most delightful turn of phrases ever written in the English language. Not as good as Pride and Prejudice but Sense and Sensibility is still well-recommended. 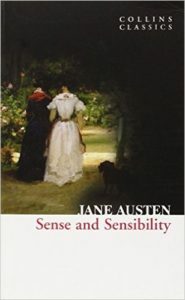 You can purchase Jane Austen’s Sense and Sensibility on Amazon here.